March Hair have been delivering this level of outstanding service and creative skill since March 2009 and for us our number one priority is always you, our guest. 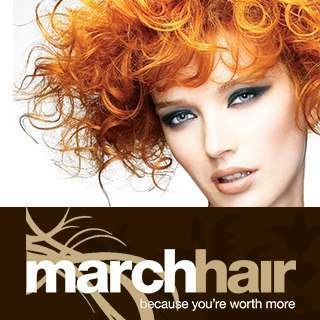 The March Hair team are highly trained and qualified in their skill, creativity and forward thinking ideas and have an abundance of passion and pride in their work, all this to ensure we are committed to delivering above your expectations in results. We work with industry leading products and believe in them and their ethics. At the start of 2012 and with great pride and excitement we decided to expand and take our individual brand of hairdressing to the town of Rugby, with the best location in such a lovely area we cannot wait to begin getting creative and styling the local discerning public. We work closely with Paul Mitchell and are proud to be a Signature Salon group and also have two active members on the Paul Mitchell UK Educational Art Team, who travel the country passing on their substantial wealth of skill and knowledge. We look forward to expressing to you all that March Hair stands for and delivering an exceptional salon experience in a desirable salon destination.